Felecia Williams has held management positions with national healthcare consulting firms, working with hospitals and employer groups to streamline and automate processes, perform cost-saving analyses and evaluate business strategies. Most recently she was employed in the health care payor arena, focusing on provider profiling and healthcare transparency for consumer education. She began teaching as an Adjunct for the HIM bachelor’s (BS) campus program in 2009. In 2010 she began teaching in the online Post- Baccalaureate Certificate in HIM program, and when the online BS HIM program started in 2012, she began teaching in this program as well. 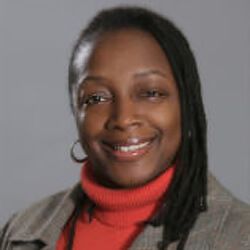 As of January 2013 she is a full-time faculty member in the HIM program. Williams hold a BS in Health Information Management from UIC, as well as an MPA from Roosevelt University in Chicago. She also holds the Registered Health Information Administrator (RHIA) credential.